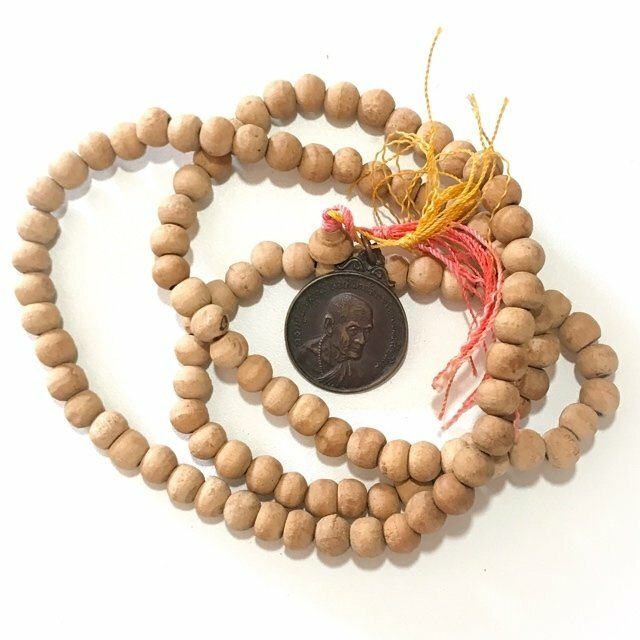 Sacred old wooden bead Blessėd Rosary with Guru Monk coin, from the great Lanna Monk, Kroo Ba Gaew Sutto, of Wat Doi Mokkhala, in Chiang Mai. 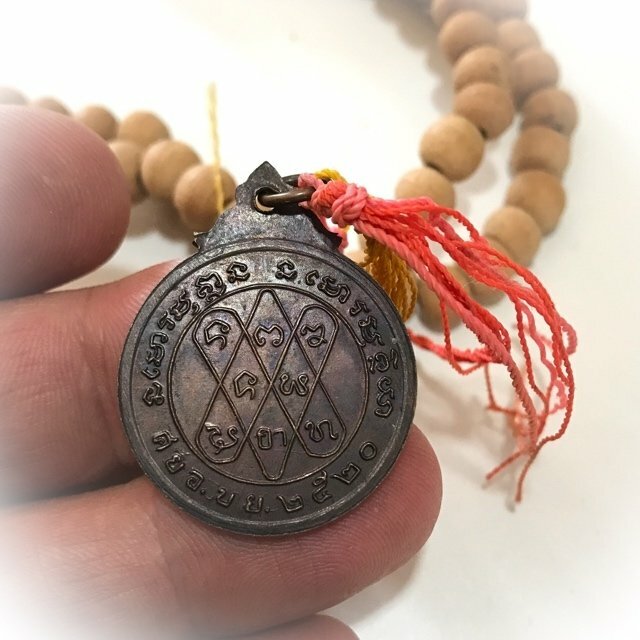 The rosary has a 2520 BE Rian Roop Muean Guru Monk Coin with the image of Kroo Ba Gaew gazing sideways on the front face, and a Sacred Nam Tao Yantra with Khom Agkhara on the rear face. 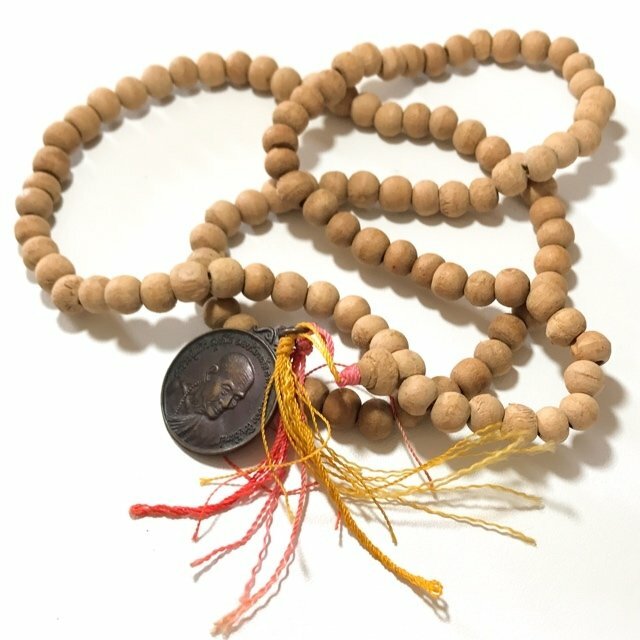 A highly recommendable item for Buddhanussati and Gurunussati, Meditation, Prayer Counting, Protection and Mercy Charm. 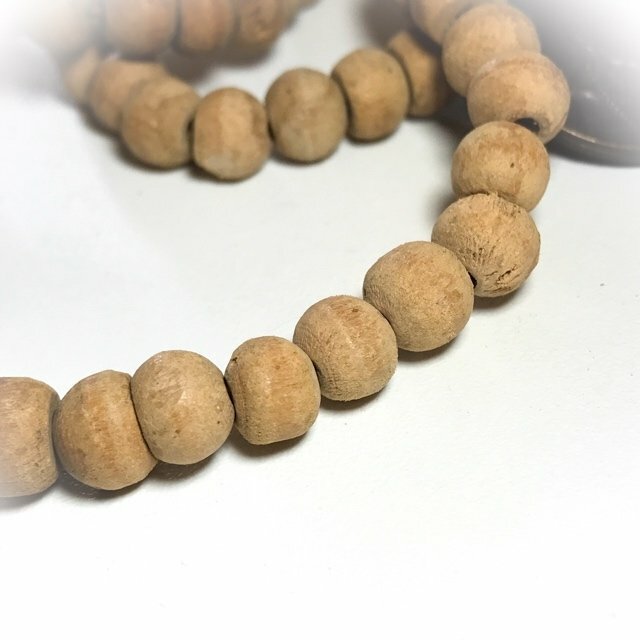 Wear as a necklace with amulet of the Guru. 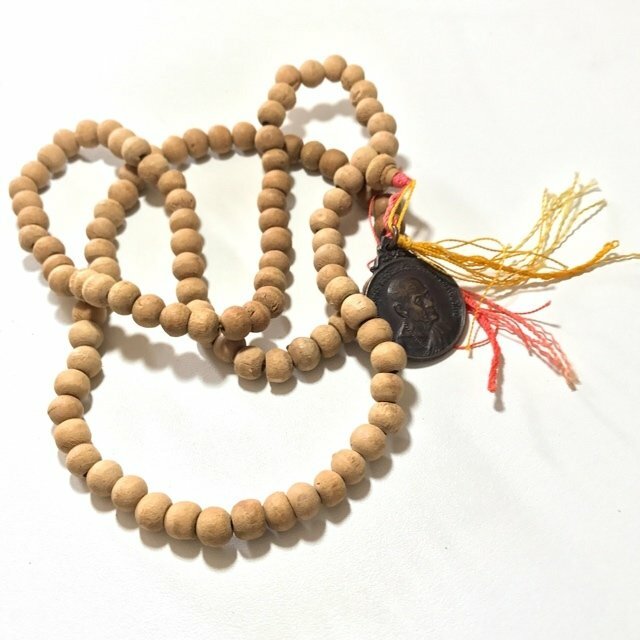 and use for counting your prayers and Kata Chants. The statues rose up from the depths and wer able to be transported to the temple, where they reside to this day. It is said these Buddhas can make the rain fall in the proper season to make the crops grow, which is a matter of life and death from many farming communities in the region. 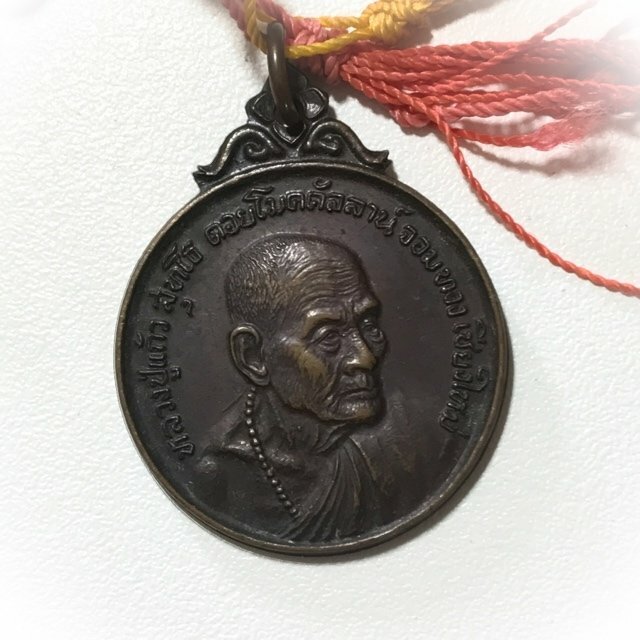 The Buddhas are hence extremely sacred for the local devotees, and Kroo Ba Gaew's miracle of calling them, is perhaps his most famous legend. 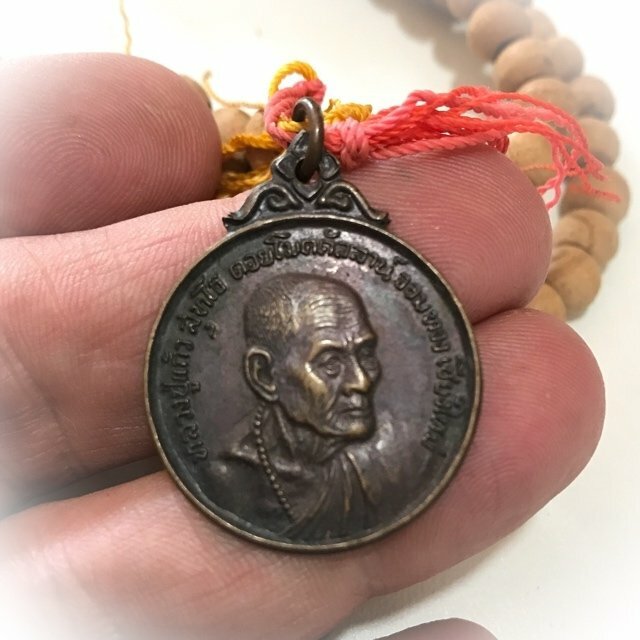 Luang Phu Kroo Ba Gaew's amulets are extremely rare, because he never ever really focused on making amulets of many kinds. 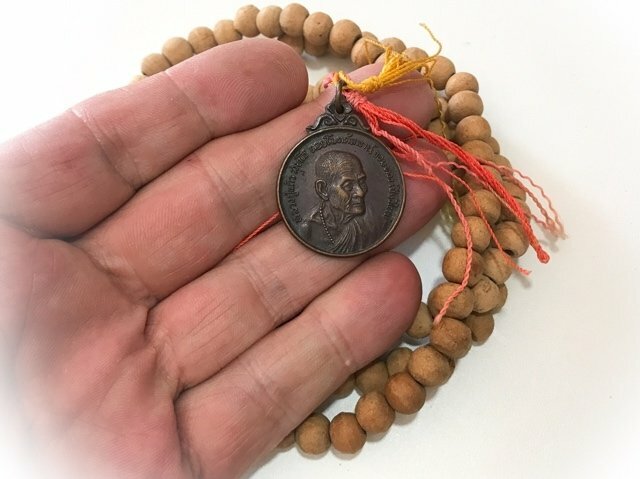 he would only release mainly Buddhist amulets such as his monk coins, and 'Roop Tai' blessėd monk photos, and items of reverence and practice such as the Prakam Saksit Blessėd Rosary. 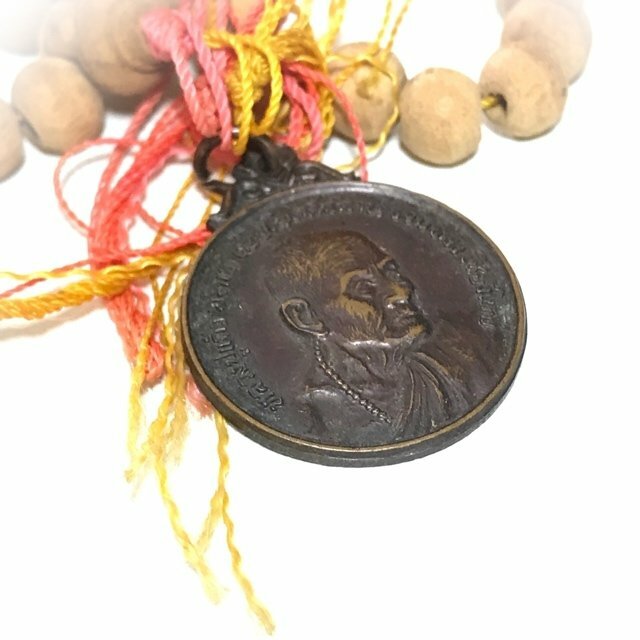 Devotees of Kroo Ba Gaew like to wear his rosaries with one of his coin amulets attached for prayer and protection of the Guru. 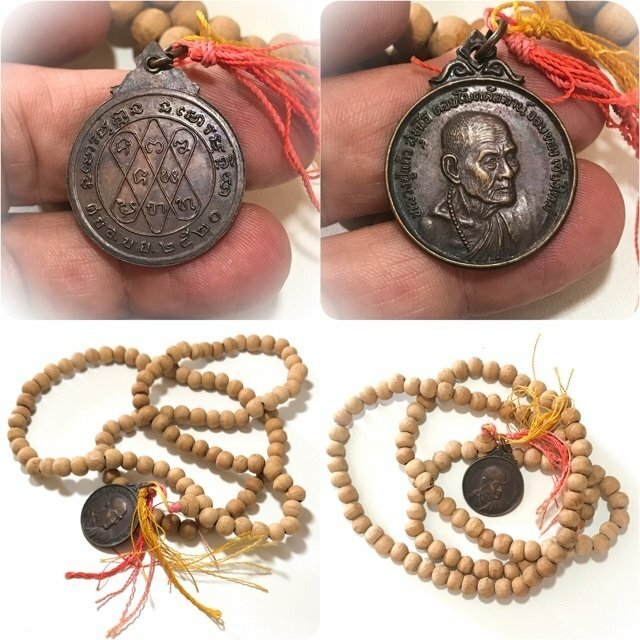 HIs devotees are very reluctant to part with their amulets of Luang Phu Kroo Ba Gaew, for they believe them to possess very powerful protection, and bring auspicious blessings. 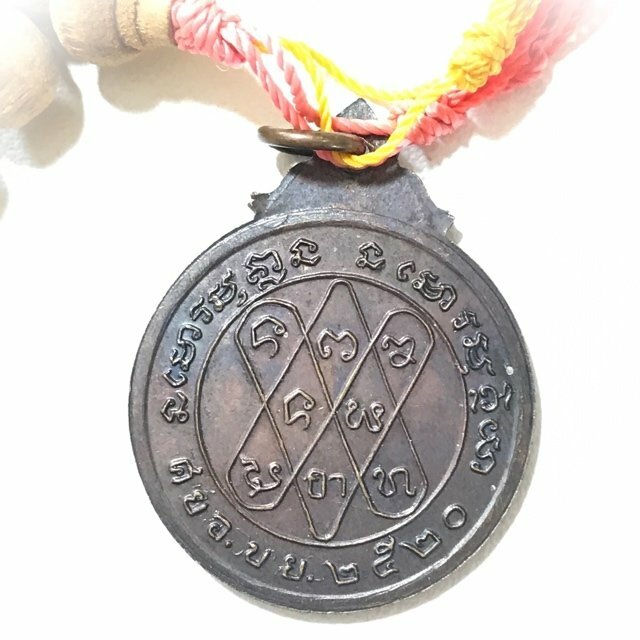 The Wongarn Pra Krueang Lanna Northern Amulet Appreciation Society have registered the pantheon of amulets of Kroo Ba Gaew as residing within the Dtamrap Pra Krueang Lanna Yord Niyom 'Top List of Most Preferred Amulets of the Lanna Region'.